Spiritual Tour of Uttar Pradesh covers almost all the famous and important pilgrims centers of Uttar Pradesh like Kashi or the city of spiritual light, in this ancient city of pilgrimage, the bathing ghats are main attraction. People flock here in large numbers every day to take bath in the Ganga River. 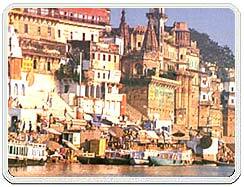 Banaras or Kashi is the place where Shiva and Parvati stood when the "time started ticking". 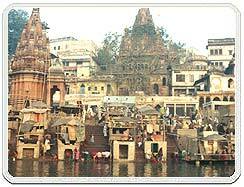 The oldest city Varanasi or Banaras has found place in the Buddhist scriptures as well the epic of Mahabharata. Varanasi was called Banarasi in Pali language hence it got the name 'Banaras'. Other story is related Varanasi that city is located on the land between the river Varuna and Assi hence the name Varanasi. Varanasi is also the center of education, religion, art and culture. Some famous places are situated nearby Varanasi or Banaras like Vishwanath Temple, Banaras Hindu University, Tulsi Manas Temple, Durga Temple, Ram Nagar Fort & Museum and Bharat Mata Temple. Vishwanath temple is the most sacred temple in Varanasi and is dedicated to Vishveswara-Shiva as lord of the universe. Vishwanath temple is also known as Golden Temple. The present temple was built by Rani Ahilyabai of Indore in 1776, 800kg of gold plating on the towers, which gives the temple its informal name, was provided by Maharaja Ranjit Singh of Lahore some 50 years later. The original temple was damaged by the Mughal Emperor Aurangzeb. 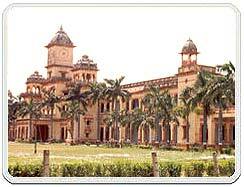 Benaras Hindu University (BHU) was built in 1917. It is the largest residential university in Asia. Benaras Hindu University (BHU) was founded by the great nationalist Pandit Madan Mohan Malaviya as a centre for education in Indian art, music, culture and philosophy, and for the study of Sanskrit. The modern marble shikhara style Tulsi Manas Temple is situated 150m south of Durga Temple. It was built in 1964. Tulsi Manas Temple is on the spot where Saint Tulsidas composed the Ramayana in Hindi (The Ramacharitamanas). Durga Temple is one of the most famous important temples in Varanasi. Durga Temple was built by Bengali maharani in the 18th century. It is built in north Indian Nagara style with a multi-tiered shikhara (spire). Ram Nagar Fort & Museum is situated an opposite bank of river Ganga, this 17th century fort is the home of the former maharaja of Benaras. Bharat Mata Temple is dedicated to 'Mother India'. Bharat Mata Temple has a marble relief map of India instead of usual images of gods & goddesses. Many famous fair festivals are held on Varanasi city like Ganga Festival, Kartik Purnima, Buddha Purnima, Bharat Milap, The Ram Lila, Hanuman Jayanti, Mahashivratri and The Dhrupad Mela. The Festival experience like none other awaits you at Ganga Festival at Varanasi. 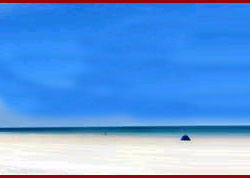 Kartik Purnima is celebrated in the month of November-December. Buddha Purnima festival is celebrated during the month of May with pomp and gaiety in Sarnath. Around Dussehra Bharat Milap fair is held in Nati Imli which celebrates the return of Lord Rama from 14 years of exile. It is held in the month of October / November. The Ram Lila of Ramagar is famous far and wide. It is based on the Ramcharitamanas by Tulsidas. It is also held during October / November. This festival again is based on the Ramayana. Hanuman Jayanti festival is celebrated to mark the birth of the monkey God Hanuman. 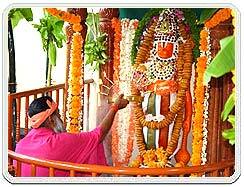 Hanuman Jayanti five day long festivities are held at the Sankat Mochan temple. Mahashivratri is celebrated throughout India but Varanasi has some special charm in the celebration the festival. Dhrupad Mela five day long music festival is held on the Tulsi Ghats in the month of March. This festival is one of the major tourist attractions of Varanasi. Air : Varanasi is well connected by air to several cities in India. It is on the popular daily tourist service Delhi-Agra-Khajuraho-Varanasi route. Rail : Varanasi has two railway stations-Kashi and Varanasi Junction (also Cantonment Station). Road : Varanasi is very well connected by a network of roads and road transport to all major towns of Uttar Pradesh and surrounding areas.